Allow five hours for the journey by road with some extra time for stops along the way. Follow SH 73 from Christchurch through to Kumara Junction, turn left at Kumara Junction and follow SH 6 through to Franz Josef Glacier. The drive is very picturesque and a great chance to experience some of the most impressive landscapes in the region. Castle Hill is two hours from Christchurch and is worth a stop to explore the incredible ancient limstone rock formations that can be seen from the road. Arthurs' Pass village is a good place for a coffee and snack break, and Hokitika on the West Coast has a range of eateries, shops and activities available. This is one of New Zealand's iconic road trip routes, taking approximately five hours by road plus breaks. 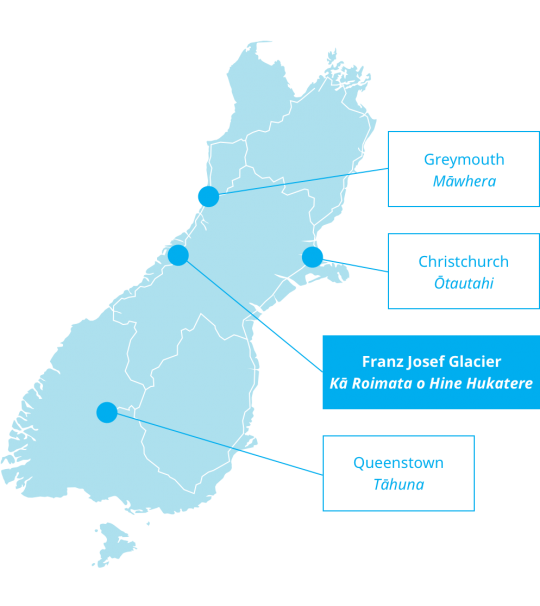 Follow SH 6 from Queenstown, through Wanaka and Hawea to Haast all the way up to Franz Josef Glacier - you will be rewarded with some incredible scenery along the way. The lakes at both Wanaka and Hawea are excellent stops for photo opportunities and there are a number of excellent short walks including the Blue Pools just past Makarora, Thunder Creek Falls and Roaring Billy. This is a reasonably quick and very easy route along SH 6 taking just two and a half hours by road. Hokitika is a good option for lunch or coffee while the small former gold mining town of Ross provides an excellent chance to try your hand at gold panning. 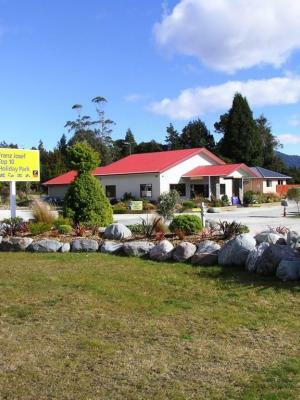 Set amidst views of snow-capped mountains and rainforest covered hills, along with views of the Franz Josef Glacier, this is the closest motel to the centre of Franz Josef. It is a three-minute walk from several restaurants and bars, and four minutes to the hot pools. 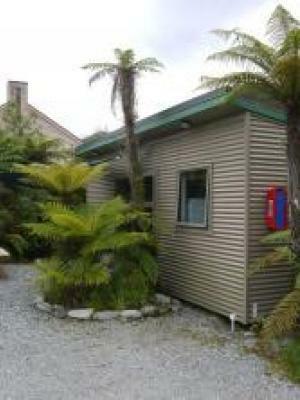 In a quiet setting with excellent views, the Franz Josef TOP 10 Holiday Park has a great range of accommodation. 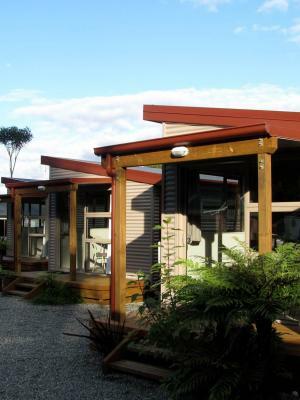 It has a choice of cabins and self-contained Park Motels, spacious powered sites and plenty of grassy sites for tents. 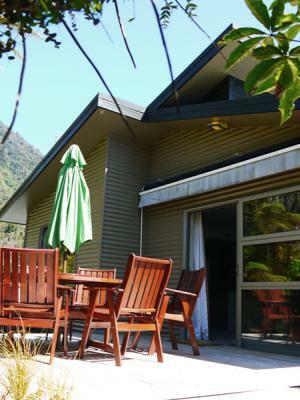 Centrally located in the heart of Franz Josef Village is Rainforest Retreat. Nestled in six acres of idyllic native bush, Rainforest Retreat offers premium accommodation that embraces its beautiful, secluded, natural environment. Chateau Franz is set amongst a rainforest backdrop with views of the glacial mountains and is conveniently located within walking distance to all bars, cafés, shops and pick up points. Let Glow Worm Backpackers and Motels be your home away from home. They have a cozy log fire, spa pool, sky tv lounge, 24 hour internet and serve free homemade vegetable soup in the evenings. All detached ensuite rooms backing on to native bush in a quiet residential location, yet only three minutes walk to the centre of the village, restaurants, tour activities and glow worm walks. 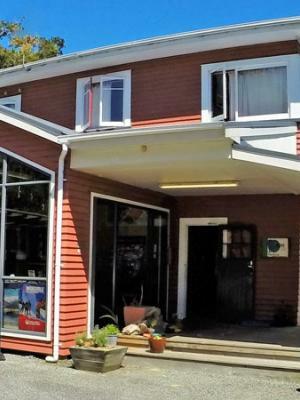 Nestled in the heart of Franz Josef Glacier Village, Montrose Accommodation and Backpackers are only a stone's throw away from all the shops and activities available to you. 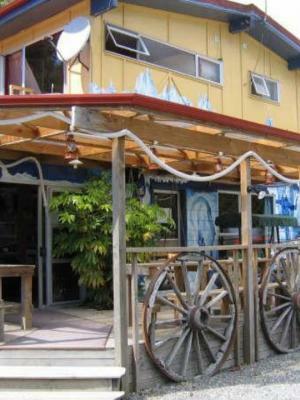 This is a fun hostel for independent travelers/ families and groups. 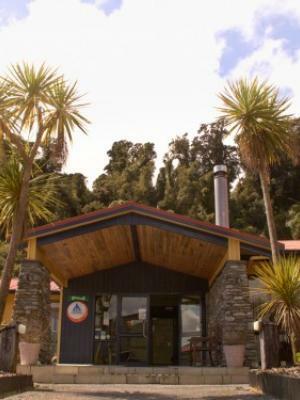 With the rainforest just outside its backdoor, YHA Franz Josef offers comfortable and modern accommodation. This is the perfect base from which to take in the magnificent sights of the Fox and Franz Josef glaciers, and the dense rainforests of Westland National Park. 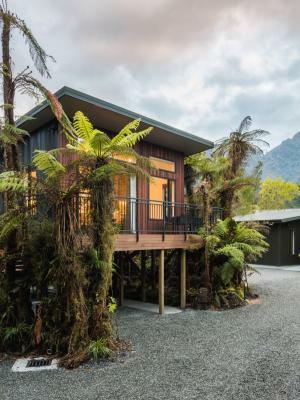 A private rainforest setting opposite the Franz Josef Glacier Hot Pools and Glacier Guides base that is ideal for families or groups of friends. The modern ground floor, three-bedroom house provides plenty of space for you to relax with all the comforts of a serviced apartment. 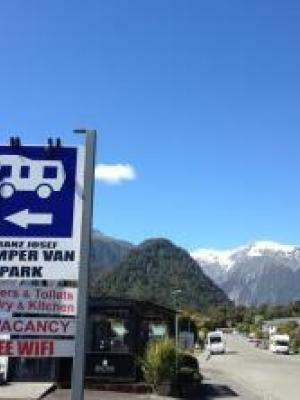 A small holiday park catering mostly for campervans, right in the centre of Franz Josef. The well-priced powered sites include free wifi, kitchen and BBQ facilities, ensuite style bathrooms with free hot showers and access to a coin operated laundry. 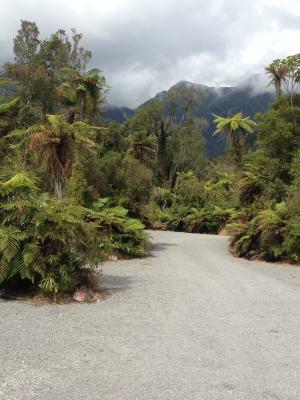 A small purpose-built campervan park set in the native rainforest of Franz Josef, directly opposite the Franz Josef Glacier Hot Pools and Glacier Guides base. They offer powered and non-powered sites with free wifi, hot showers and BBQ facilities. 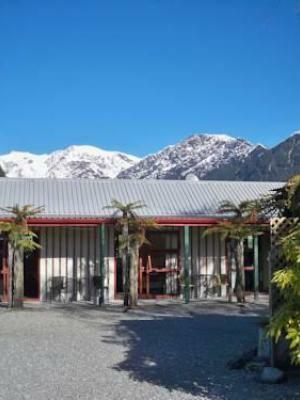 Franz Josef Holiday Rentals offer a wide range of budget holiday accommodation for people wishing to stay from one day to one week in amazing Franz Josef. 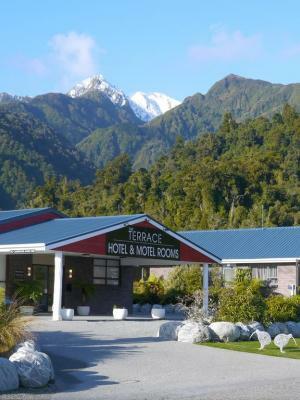 All accommodation is less than a three minute walk from the centre of Franz Josef. Enjoy unbeatable panoramic views of the surrounding mountains and glaciers reflected upon Lake Mapourika’s mirror-like water. You’ll also get up close and personal with some of Westland’s oldest untouched rainforest as you paddle your way through the protected habitat of the elusive kiwi. 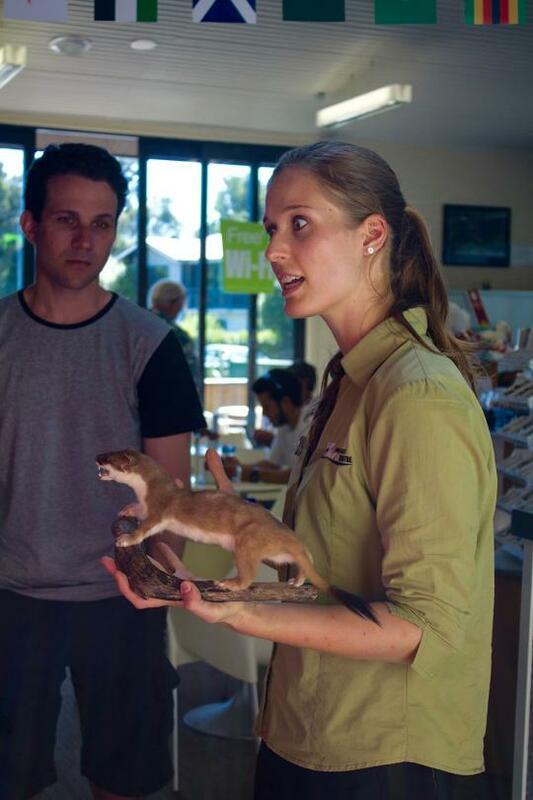 The West Coast Wildlife Centre is a unique and interactive experience that brings together nature, conservation and wildlife all under one roof. This all-weather attraction is fun for all ages to explore and takes place against the stunning backdrop of the Franz Josef Glacier. Snake Bite strive to be honest, authentic and affordable – their simple aim is to complement the real taste of Asia with some of the exciting NZ Craft Beers that are brewed with passion in a relaxed and casual environment. At The Landing Bar and Restaurant, they have made 'Their Place' a special place where you will be treated like royalty without being pretentious, where every night is a celebration and every occasion made memorable.